Facebook is reportedly developing a cryptocurrency that will be backed by the U.S. dollar for the Indian remittances market. Known as a "stablecoin," the digital currency will allow users of Facebook's WhatsApp messaging app to transfer money. Stablecoins have many applications besides remittance, including peer-to-peer payments, the purchase of goods and services online, and trading of digital currency. Facebook's digital currency is at a nascent stage and won't be released for some time, according to a December Bloomberg report. Will WhatsApp's India move drive mobile payment competition or too little too late? Previously, WeChat has been the world's dominant chat & payment app with over 1 billion WeChat users worldwide, spread over 15 countries; 200 million of which use the app's payment function. Could WhatsApp's December 2017 release of a payment enabled WhatsApp app in India find similar success? Hike messenger, a popular phone messaging service app in India, has recently decided to introduce payment services on its platform. Can RuPay in India emulate the success of China UnionPay? The RuPay is an initiative by the National Payments Corporation of India (NPCI). 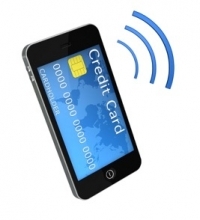 It is intended to provide a domestic alternative to the global MasterCard and Visa card payment systems. It will also allow NPCI to consolidate various payment systems in India. It is directly comparable to its Chinese counterpart, China UnionPay, which has been highly successful and is a world leader in payment systems. Can Tencent help Hike overthrow Whatsapp in India? Indian messaging app Hike raised $175 million in funding from global investors this month. This round of funding valued the messaging app at $1.4 billion, cementing Hike's entry into India's coveted "tech unicorn" club. Even so, it was one of Hike's new shareholders that lifted more eyebrows. Tencent, the owner of WeChat and China's most popular messaging app, were among the investors throwing their bets behind Hike. Kapronasia takes a look at possible advantages of this new relationship. The launch of Direct Carrier Billing in India: A new era? Global payments operator Fortumo and India’s Reliance Communications (RCOM) have launched direct carrier billing where RCOM’s customers can purchase digital content and games by charging the payments to their mobile bill or mobile prepaid account. Reliance customers can now enjoy a host of digital entertainment content on the move on their mobile devices, across movies, music, games and live TV, starting from just Rs. 10 (15 cents) for 1 day of access, all by paying through their mobile postpaid bill and mobile prepaid account. As a growing number of foreign banks wind up operations in India, IT companies’ revenues from BFSI are growing slower than ever (21% in 2015 vs a projected 10% for 2016). Most IT majors derive a significant portion of their revenues from banking and insurance sectors - as high as 40% in some companies. However, this situation could improve with 'Payments Banks' (PB) set to roll out in the third quarter of 2016. 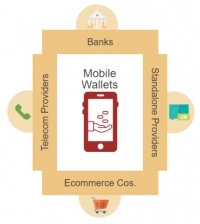 After e-commerce, mobile wallets set to become a two horse race? The pie of banking services in India is well spread out amongst various types of banks, ranging from private sector, public sector, foreign banks, rural banks and even cooperatives. However, market forces are starting to whittle down the once varied field of payment service providers (PSPs), and it is starting to look more like a two horse race similar to other e-commerce markets in Asia. The financial services sector in India is at it again; at least the regulators and the mainstream business publications are. Talking up UPI (Unified Payments Interface) as a panacea for India’s challenges with financial inclusion, cash economy (read black money), plateauing digital ecosystem and you name it. Ecommerce major Flipkart’s acquisition of UPI based startup PhonePe Internet Pvt Ltd shows that the payment space is heating up at a rapid pace. Incidentally PhonePe, the Bengaluru based startup was launched by three former Flipkart executives just four months back, and is focusing on peer to peer payments, bill payment and merchant payments- areas of interest for ecommerce companies. E-commerce Regulations in India: More pain than power! Earlier this week the Department of Industrial Policy and Promotion (DIPP) came out with guidelines allowing for 100 percent Foreign Direct Investment (FDI) in online retail of goods and services. Last week saw the first ever IPO by an Indian e-commerce company. Infibeam’s IPO however, might not provide an accurate baseline for the booming Indian ecommerce industry. The payments space in India is heating up. Smaller players are looking at exits through consolidation into bigger players. The bigger players have challenges of their own. Unified Payment Interface – Will banks in India win this round? The recent move by the National Payments Corporation of India (NPCI) to initiate a ‘Unified Payment Interface (UPI)’ which aims to simplify and provide a single interface across all banking payment systems is a welcome decision. It is understood that 30 banks have evinced interest to commence UPI-based services in the new financial year (April 2016-March 2017) in India.